Not that I wish he came in a box as a gift to me last Christmas--but I do. Edward shows you that even festive sweaters deserve a spotlight on fashion blogs. He looks fantastic with the coat over the sweater; casual and classy. But he doesn't look any less without the coat on either. Check out another version of this look here. Here's a fun bit: What does he look for in a woman? Prepare to go "aww". Now here's a more familiar face! 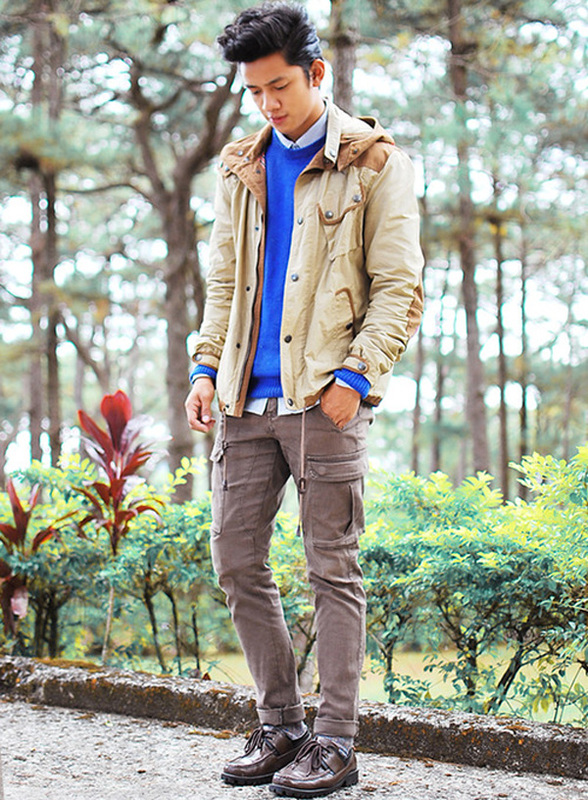 Philippine readers, you might (/should) be familiar with David Guison. Take cue from this man who knows how to work his layers. If you're going for something more subtle, pile on neutrals and give it a little pop of color to take it to the next level. Check out how he ended up with this look in his blog post here. Looking to spice up your office wardrobe? Pocket Square Clothing's Rodolfo Ramirez shows you how to wear colored trousers. If your workplace allows it, go for color! Pick something in a darker shade like this deep purple pants and add on a neutral colored blazer to keep a professional finish. Accessorizing in print (e.g. neck tie and a pocket square) is optional but fun! 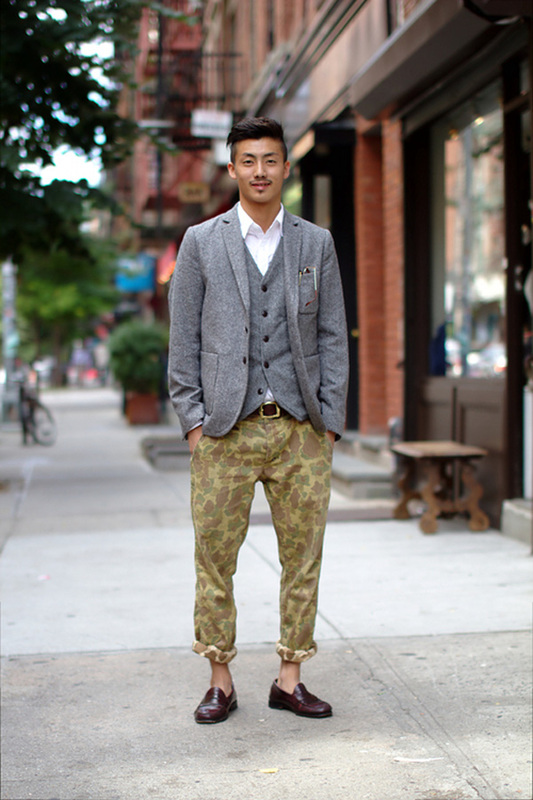 Or go all-out on the fun and put on some printed trousers just like this man snapped by Jace Lumley of Plain T-Shirt! Personally, I think this would be perfect for a casual brunch with a friend or a business partner. On deciding what to wear, know when you can experiment with your clothing choices and how far you can go with the funky additions. The important thing is to end up with the best representation of yourself that is fit for the situation. P.S. What is up with these stylish men and their awesome hair? !